Knights Glamping at Leeds Castle offers unique accommodation in spacious Medieval-style tents, with free Wi-Fi and a wood burning stove. The property is located only a 5-minute drive from the M20 motorway. 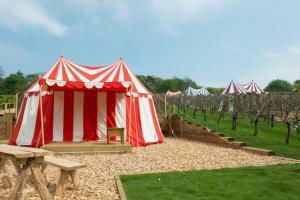 See all Knights Glamping at Leeds Castle reviews..